Luke Grimes is an American actor who played United States Navy SEAL Marc Lee, who was killed in action in 2006, in ‘American Sniper’. He also starred as Elliot in the film ‘Fifty Shades of Grey’, and its sequels, ‘Fifty Shades Darker’ and ‘Fifty Shades Freed’. Luke Grimes was born on 21 January 1984, in Dayton, Ohio, USA. He is currently 35 years old. Grimes attended the Dayton Christian High School, graduating in 2002. He moved to New York City to study acting at the American Academy of Dramatic Arts. Siblings – He has three siblings. Grimes has kept his personal life discreet from his professional life and thus there is not much information available of any relationship he has had in the past or in the present. 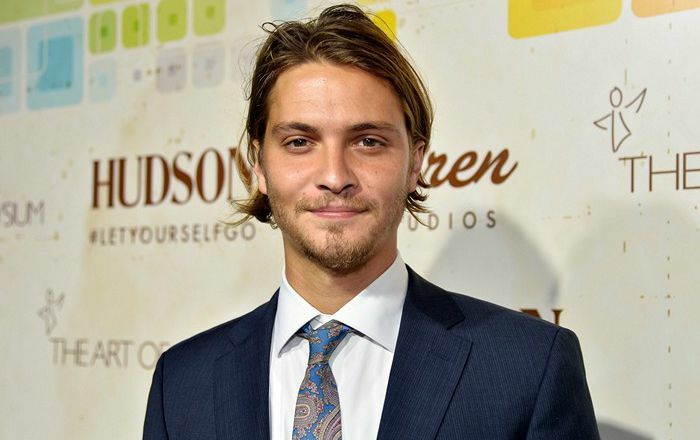 Luke Grimes earned his first acting credits as Jake in Jonathan Levine’s horror film, ‘ All the Boys Love Mandy Lane’ in 2006. The film had actors Amber Heard, Michael Welch, Whitney Able and Anson Mount in the lead roles. Luke played Ryan Lafferty on ABC’s sitcom ‘Brothers and Sisters’ from 2009 to 2010 in a total of 35 episodes. His portrayal in the ABC drama Brothers & Sisters, as Ryan Lafferty, the illegitimate son of William Walker, patriarch of the show’s family. Grimes’s performance in the film American Sniper earned him a lot of fame and recognition. He played United States Navy SEAL Marc Lee, who was killed in action in 2006. Playing Elliot, in the film Fifty Shades of Grey (2015), and its sequels, Fifty Shades Darker (2017) and Fifty Shades Freed (2018). He has a net worth of $500 thousand dollars. Luke is the youngest of four children in a very religious family. He moved to New York City to try his luck in acting where he studied drama at the American Academy of Dramatic Arts. Initially, he was picked up to play supporting roles in films until his breakthrough role came with the ABC drama ‘Brothers & Sisters’. He played James in ‘True Blood’ for six episodes during the shows sixth season. Grimes auditioned for the title role in CBS’ miniseries Elvis, but the role went to Jonathan Rhys Meyers. He played Teddy in Antoine Fuqua’s western action film, ‘The Magnificent Seven’ in 2016.